S. Hadjitodorov, V. Iliev, Z. Ilieva, N. Kolev, K. Kossev, M. Milanov, I. Mitov, P. Pantev, G. Papakochev, A. Parvanov, A. Popov, V. Rachev, N. Stoyanova, V. Tekelov, M. Traykov, et al. As a Balkan state and an EU and NATO member, and bordering the Western Balkans, Bulgaria, along with Greece, has the specific responsibility of guaranteeing that the states aspiring to EU and NATO membership in the region attain modern European standards of good neighbourly relations. Bulgaria also needs to set its relations with the Republic of Macedonia on a sound and sustainable basis not only in the best interests of Bulgaria’s own citizens, but no less of the citizens of the Republic of Macedonia, and for the successful development of the Balkan region as a modern and prosperous part of a United Europe. Republic of Macedonia for its European Union and NATO membership has been expended, and that future Bulgarian support would depend on the willingness and success of the Republic of Macedonia in adopting and pursuing a policy of good neighbourly relations. Prime Minister Sergey Stanishev advised him of the failure of the Republic of Macedonia to follow a good neighbour policy. implementation, along with due public debate and participation. Bulgarian attitudes and views on the complex set of issues related to Bulgarian policy on the Republic of Macedonia, as well as the relevant aspects of Bulgaria’s relations with third states, especially Greece, Albania, Kosovo and Serbia, were formed at various times in history, and thus are the product of various historical realities. As a result, these attitudes and views are inherently contradictory, effectively hindering any attempt to pursue consistent and proactive policies. Moreover, the present conceptual framework fails to reflect the most recent, post-January 1, 2007 situation in which Bulgaria is a member of both NATO and the European Union, while the Republic of Macedonia is not. Owing to these circumstances, the present analysis and the ensuing policy recommendations are based on a new interpretation and reevaluation, which requires new approaches in certain aspects. It should be noted that the position of Skopje enjoys better exposure and audibility than the Bulgarian one among decision makers and the general public in Europe, the United States and Canada. Indeed, during the last two decades the Republic of Macedonia has been building its arguments and international public relations efforts on Yugoslav propaganda disseminated in the course of forty-odd years, while during that time Bulgaria remained virtually silent and refrained from seeking support for its position from other nations. Macedonism also benefits from public sympathy in Europe and North America towards the small post-Yugoslav republic, viewed both as an offspring and to some extent a victim of the Cold War victors. The present pre-accession status of the Republic of Macedonia vis-аvis the EU and NATO offers a unique window of opportunity to set the country’s relations with Bulgaria on a stable and positive basis of good neighbourliness. If this opportunity is missed, Sofia would only find a fairly modest set of means at its disposal to further its cause, while the capabilities of Skopje would expand. Furthermore, even the strongest arguments of Bulgaria would then become intellectually and morally deficient; for while the silence and passivity of this country in the past could find some explanation (if not justification), the ability to pursue a policy of good neighbourly relations is an important criterion for both NATO and EU accession by candidate states such as the Republic of Macedonia, and any further silence on the part of Bulgaria would be interpreted by our allies in NATO and EU, and in the Republic of Macedonia itself as condoning and legitimizing policies and practices that cannot be accepted as good and neighbourly by any selfrespecting state. for their sustainable solution, while briefly mentioning a variety of other relevant measures such as joint infrastructure and other projects (including those funded by the EU and NATO), Bulgarian investment in the economy of the Republic of Macedonia, further streamlining of the procedures for granting Bulgarian citizenship to persons of Bulgarian origin in Balkan states, or incentives for such persons to study at Bulgarian universities etc. Such measures can undoubtedly facilitate the resolution of existing problems, but cannot resolve them alone. The present report focuses exclusively on Bulgaria’s policies towards the Republic of Macedonia. Actions and policies towards third states, or the EU and NATO are considered only as much as they are essential in achieving the policy goals related to the Republic of Macedonia. Bulgarian (30,000 executed, and another 120,000 sent to concentration camps and prisons); by rewriting history through education and the media; falsifying authentic historical evidence and artefacts; and by counterfeiting historical monuments (inscriptions in churches and monasteries, burial grounds etc.). state chose the alternative option of following the Serbo-Yugoslavian, anti-Bulgarian scheme unaltered, now in a different environment and to some extent with new protagonists and propagators. confined to a particular territory and period of time (Vardar Macedonia in Yugoslavia, 1944 -1991) into other territories and other times. Given that the history of the population of the Republic of Macedonia and that of its neighbouring countries are interrelated, this exercise in rewriting history (extending back to the Balkan Revival of the 19th century, the Middle Ages and even to Antiquity), while aimed at adjusting the historic ethnic identity of the population of the Republic of Macedonia to its present one, effectively attempts to redefine the historic – and hence the modern – identity of neighbouring nations, especially the Bulgarians. This attempt is perceived as outrageous by the latter. the offspring of families persecuted in the past as Bulgarians or Bulgarophiles. problems in the traditional use of the name ‘Macedonia’ for other major areas of the geographical region of the same name, i.e. Bulgarian (Pirin) Macedonia and Greek (Aegean) Macedonia. In this respect, the initial credit of trust extended by Bulgaria through its unconditional recognition of the new state in 1992 was an investment in good relations between the two countries that was unfortunately not reciprocated. In hindsight, the early recognition without any commitment by the new state to adopt standards of good neighbourly behaviour rather served as an incentive for the continuation of old-style Yugo-Macedonian policies. neighbourly relations agreed between Bulgaria and the Republic of Macedonia, by registering and identifying openly all established infringements of the provisions of the Declaration. Strict monitoring of the Republic of Macedonia’s compliance with the Declaration should become an integral part of the assessment conducted by both Bulgaria and the EU of the progress achieved by the Republic of Macedonia in attaining the criteria and standards for EU membership (including the requirement for strict adherence to a policy of good neighbourly relations). Similar monitoring should be carried out in the process of NATO accession. Macedonia. It would be unacceptable for these difficulties to persist after the Republic of Macedonia joins the EU. meeting the membership criteria. Chapters in the negotiations should then not be opened and/or closed without strict compliance with the relevant requirements. 1.1.2. Harassment of citizens of the Republic of Macedonia who identify as Bulgarians must be discontinued. Such acts of harassment include extended police interrogations of citizens of the Republic of Macedonia who have committed no offence, but have stated somewhere that they are Bulgarians; arbitrary dismissal; pressure exerted on public organizations of Bulgarians, etc. 1.1.3. The Bulgarians in the Republic of Macedonia who clearly identify as such should enjoy an equal standing with other ethnic communities in compliance with the relevant national legislation. This requires their explicit listing in the preamble of the country’s Constitution. Regardless of their numbers as officially registered in the Republic of Macedonia, Bulgarians should be included along with the originally listed Albanians, Turks, Vlachs and Roma, and Serbs and Bosniaks which were subsequently added. In this context, it would be appropriate to examine the proposition that today’s ethnic Macedonians (non-Bulgarians) and the ethnic Bulgarians in the Republic of Macedonia constitute a single entity and that there is no difference between them. (non-Bulgarians), while others support the view that all of them are Bulgarians in some respects, or at least in a process of ‘re-Bulgarization’ as some would claim. however, that in this particular aspect the Declaration is asymmetrical, explicitly excluding any official action by the Republic of Macedonia to protect the status of persons in Bulgaria who are not citizens of the Republic of Macedonia. minority there might reveal its small size. However, regardless of that size Bulgarian policy should be based on reality rather than wishful thinking. Bulgaria’s behaviour until now of avoiding the issue of recognition of the Bulgarian minority in the Republic of Macedonia has two possible interpretations. The first is that despite the large number of people (tens of thousands and growing) claiming Bulgarian ethnic origins in the last few years and granted Bulgarian citizenship on this basis, there is actually no Bulgarian minority in the Republic of Macedonia but rather some ‘crypto-Bulgarians’ who would gradually diminish with the succession of generations. The other interpretation is based on the assumption that there are indeed Bulgarians in the Republic of Macedonia but they are more than just a minority; supporters of this interpretation maintain that there is currently a widespread process of re-Bulgarization which in the near future will return the Vardar Macedonians into the mainstream of the historical continuity inherent to neighbouring Pirin Macedonia. Apparently, such radically divergent interpretations derive from isolated cases rather than from objective representative data on actual processes. In any case, with their referral to assumed future reality, such interpretations do not contribute to bringing current Bulgarian policies into line with present-day reality. and Gotse Delchev. The education system of the Republic of Macedonia, from primary school to university, is a powerful tool for inciting widespread and strong anti-Bulgarian attitudes and sentiments by implanting the image of Bulgaria as an occupying, assimilatory, and divisive power. 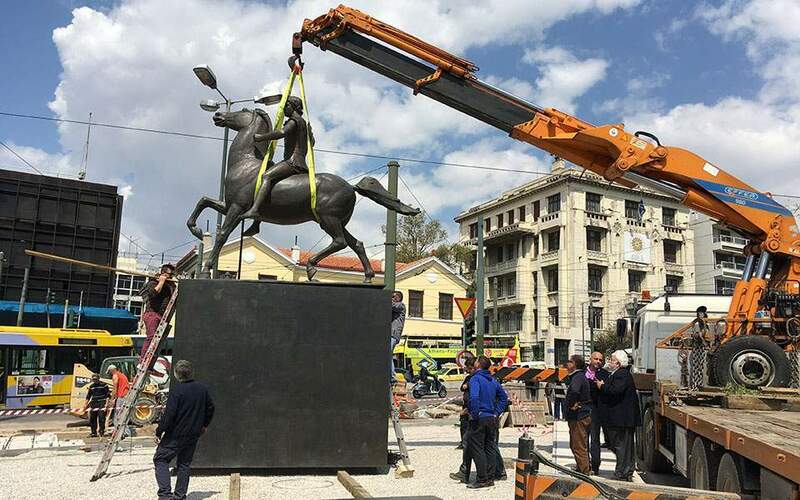 Such attitudes and sentiments in turn hold the politics of the Republic of Macedonia as a permanent hostage regardless of political changes or the succession of political factions in government. It is important to stress that the elimination of falsifications and anti- Bulgarian hate speech in textbooks and in the media will not deprive the Republic of Macedonia of its raison d’кtre. The state may well continue to exist on the basis of its accomplishments and present-day realities without having to project them retrospectively in an effort to create a past which did not happen; it may continue to exist while recognizing its Bulgarian historical heritage, just like Bulgaria recognizes present realities without transferring the past to the present. accordance with the relevant international standards and agreements. 1.1.6. Assistance in the restoration, or at least removal of the obstacles to restoration, of the 471 Bulgarian military cemeteries on the territory of the Republic of Macedonia, a particularly sensitive issue for Bulgaria. 1.2. Albania and Kosovo The activities of Skopje aimed at affiliating the descendents of the Macedonian Bulgarians in Greek Macedonia and in some regions of Albania and Kosovo to the Serb-Yugoslav project of building a Macedonian nation are a substantial component of the effort to justify this project retrospectively. Despite the otherwise modest means at its disposal, the Republic of Macedonia has been investing considerable propaganda, political and material resources to this end and has thus achieved certain results. regardless of the number of those who identify as Bulgarian. Recognition of this equality should become an integral part of the assessments by Bulgaria, the EU and NATO of the progress made byAlbania in meeting EU and NATO membership criteria. Bulgarian minorities in both countries. 1.3. Greece The policy and attitudes of Greece are relevant to the issue of good neighbourly relations between Bulgaria and the Republic of Macedonia in the context of EU and NATO enlargement in the Western Balkans for several reasons: Greece was the first Balkan state to become an EU member; the country played an important role and contributed to the accession of both Bulgaria and Romania to the EU and NATO; the territory of Greece includes over half of the geographical region of Macedonia, according to the definition of that region accepted since the 19th century (Thessaloniki, the principal city and natural centre of the region, is also in Greece); furthermore, due to their historical awareness, Greeks, as indeed Albanians, have a very good idea of the Bulgarian ethnic identity of the majority population of Vardar Macedonia in the past, and its evolution during the last few decades. While the problems of Greece in its bilateral relations with the Republic of Macedonia are quite different from those faced by Bulgaria, Greece is no less interested in the Republic of Macedonia adopting European standards of good neighbourly relations. Bulgaria and Greece may assist in this respect (including by joint efforts) during the process of preparation of the Republic of Macedonia for EU and NATO membership, in particular by means of the following. 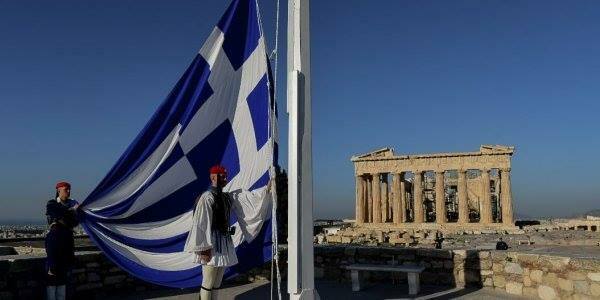 which have no place in the Euro-Atlantic family of nations. changing the widespread negative attitudes among the citizens of the Republic of Macedonia. 2.2.1. Firstly, Bulgaria should prepare a package of historical, cultural, political, geographical, ethnographical, economic and other arguments in support of the propositions outlined above. The package would be used as the foundation of Bulgaria’s position in its foreign relations. There are ample prerequisites for this purpose, both from the period before and after 1989. 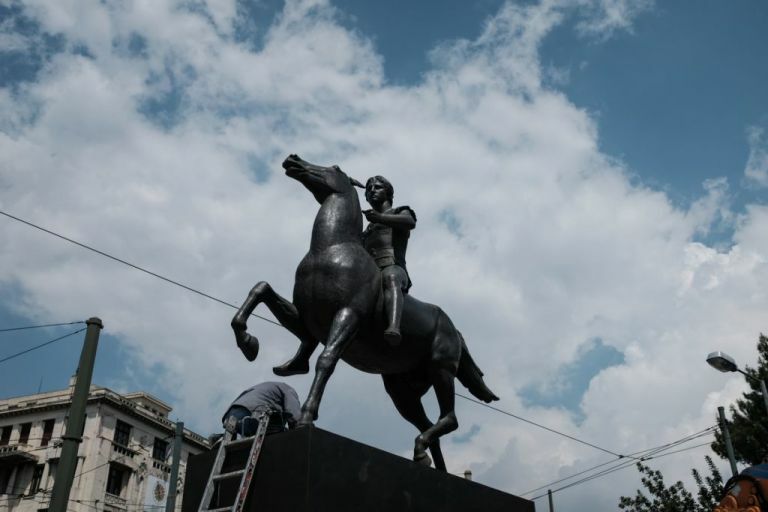 The package should be dominated by a positive attitude to the Republic of Macedonia, based on the understanding that a recently-established state has prospects for development based on its constructive deeds and achievements following independence without seeking support in some fictional past. base other than the regional responsibilities of both states as EU and NATO members and the application of European standards in relation to Skopje. Nevertheless, Bulgaria’s position regarding the Republic of Macedonia would be stronger and more principled if Bulgaria extends its support to Skopje in the event that Greek claims towards Skopje diverge from European standards. The international community and the general public in the three states should not harbour the impression that the set of foreign policy tools used by Bulgaria with regard to the Republic of Macedonia replicate those of Greece. paternalistic attitudes towards the smaller neighbouring country and to reiterate Bulgaria’s unconditional position that Sofia, being a NATO nd an EU member, has no territorial claims. required standards related to national and ethnic minorities in the EU. 2.2.5. The proposed Bulgarian activities should be preceded by a critical analysis of the 1999 Joint Declaration and its application, along with the development of Bulgaria’s own comprehensive concept for the future of its relations with the Republic of Macedonia and its people. The above should be carried out in accordance with the expectations and prospects for ethical and positive relations with the Republic of Macedonia as a future member state of the EU and NATO. This requires comprehensive and methodical coordination of Bulgarian positions with the USA and other NATO and EU allies, starting with the most important, and in the event of positive responses, proceeding with the more special cases of Greece and other relevant Balkan states such as Romania, Cyprus, Slovenia and Turkey. Due attention should be paid to countries like Poland, the Czech Republic and the Slovak Republic (and to a certain extent Russia), where politicians and academics have provided some support to the Yugoslav position on the Macedonian issue. Approaches should be tailored to each country with which Bulgaria maintains diplomatic relations, in order to promote Bulgaria’s case. 2.2.7. Ongoing pressure should be exerted with regard to specific cases at international human rights institutions, including by nongovernmental organizations active on the issue. constructive bilateral relations despite Bulgaria’s goodwill. 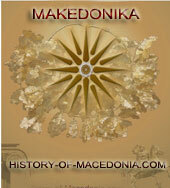 Macedonia should be clearly explained. been active in undermining bilateral relations with Bulgaria, with the secret services of the former Milošević regime, and with the present anti-democratic factions in Serbia. to concentrate its efforts and resources in several priority countries, including the Republic of Macedonia. In an aid programme expected to amount to 0.17% of the Gross Domestic Product in 2010 and 0.33% in 2015, Bulgaria should develop a special programme providing the Republic of Macedonia with useful know-how, assistance and partnership in the sphere of reforms and European and Atlantic integration. The Bulgarian non-governmental sector, local authorities, state administration and business sector have accumulated much valuable experience in preparation for EU and NATO accession, which is relevant for a country like the Republic of Macedonia and some other states in the Western Balkans. Such assistance would represent a strategic investment in good neighbourly relations, and it would be regrettable if its provision were to be left to other countries. the Republic of Macedonia to Bulgaria; at a minimum, the relevant Bulgarian regulations and procedures should be at least as liberal as the Greek ones. Transborder contacts and border area cooperation would benefit from the opening of more border crossings. Bulgarian colleges and universities and suitable forms should be found to maintain further contacts between and with them, both as a natural Bulgarian lobby group in their home country and as welcome potential participants in the increasingly attractive Bulgarian labour market. grounds under international law for Bulgaria to intervene to protect their rights and interests. needed to promote Bulgarian culture and policies in the Republic of Macedonia. Bulgarian culture and information centres should also be established in Tirana and Prishtina. libraries or chitalishta, clubs etc.) in various cities, towns and villages in the country. 2.2.17. Prominent cultural, political and media leaders of the Bulgariancommunity in the Republic of Macedonia should be supported and assistance provided to promote their work in both countries. 2.2.18. The Bulgarian Orthodox Church should be asked to contribute in the spirit of its historical traditions and capabilities to bringing the two nations closer together. 2.2.19. The issue of registration of the OMO Ilinden political party in Bulgaria has undoubtedly become one of the major irritants in bilateral relations in recent years. Both Skopje and human rights organizations like the Helsinki Committee have internationalized the issue to the detriment of Bulgaria. The refusal to register OMO Ilinden is likely to become increasingly difficult to defend, particularly after the future accession of the Republic of Macedonia to NATO and EU.While the case is mostly legal in nature, the Bulgarian position and the Bulgarian cause would undoubtedly benefit if a solution to this issue were found sooner rather than later. cultural and historical issues, with wide media coverage, to take place both in Bulgaria and in the Republic of Macedonia in order to achieve openness, goodwill and a better appreciation of the other side. Developing Bulgaria’s policy on the Republic of Macedonia to rise to current challenges – and it would be an act of national irresponsibility to miss the present historic opportunity to do so – requires the Bulgarian public, media and relevant official institutions to be adequately prepared to provide the favourable conditions for success. Prof. D.Sc. Georgi Daskalov, Faculty of History, Sofia University St.
Macedonia in all spheres. These relations shall develop in compliance with the fundamental principles of international law. 3. The two countries shall contribute to the promotion of co-operation among the states of Southeastern Europe, to the enhancement of understanding, peace and stability in the region and to the implementation of regional projects as part of the process of establishing a united Europe. different levels for the promotion of friendly relations and co-operation. trade conditions for an unimpeded movement of goods, services and capital. They shall promote reciprocal investments and ensure their protection. framework of regional infrastructure projects. They shall seek to ease customs and border formalities for passengers and goods moving between the two countries. of the press, radio and television broadcasts, using the capabilities of modern communication media. The two countries commit themselves to protect the copyrights and intellectual rights of creative artists in the two countries. administrative issues, with a view to facilitating travel and visits of their citizens as well as addressing their humanitarian and social problems. country. Neither of the two countries shall allow its territory to be used against the other by any organisations or groups which make it their object to carry out subversive, separatist or other actions threatening the peace and security of the other country. The two countries do not have, and will not lay, any territorialclaims to each other. and the rights of persons who are not citizens of the Republic of Macedonia. Macedonian language, according to the Constitution of the Republic of Macedonia, both texts being equally authentic. 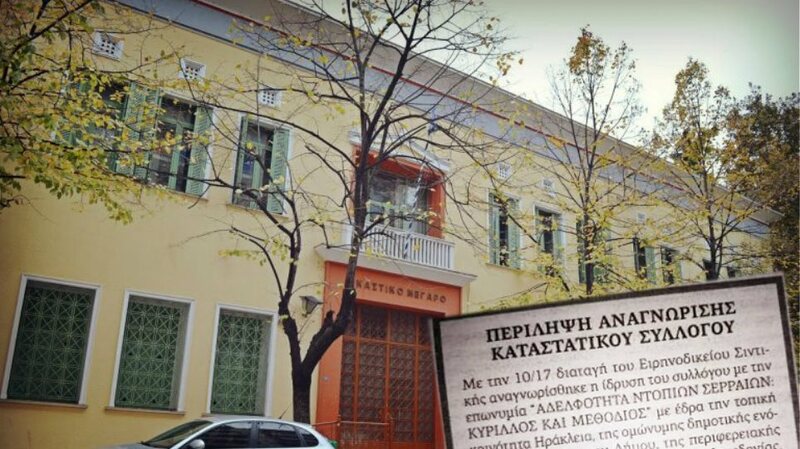 Ο Βορίδης έφερε το σκοπιανό εξπρές του μεσονυχτίου στη Βουλή.